Summary: Oh dear — I did not expect these annual results to include a profit warning for 2017. The share price has dropped by a third and I’m no longer so sure the long-term potential here is as great as I had assumed. That said, the restaurant group’s 2016 figures were not too bad while the lowered rate of expansion looks far more achievable based on current cash flow. Everything now rests on the experienced managers to resolve the problems — which I think they can. I continue to hold. These were actually record results for TAST, although the numbers were overshadowed entirely by a profit warning for 2017. “Post year end trade has been below expectations and the Directors believe that the trading environment for the coming 12 months will remain challenging. While I had already felt TAST’s progress had moderated somewhat within September’s interims, I did not anticipate headline profit would shift into reverse this year. The bad news was especially surprising since it came just four months after a £9m placing, for which TAST informed the participants that its 2017 expansion would involve 15 new openings (now seven). I wonder what those participants think of TAST’s revised projection after having paid 145p for their shares (now 75p). Revenue gained 28% and operating profit before pre-opening costs advanced 23% after the estate was expanded from 48 to 61 restaurants. I was pleased these annual results did not carry any further restaurant write-offs. September’s interims had already shown a £3.9m charge relating to five under-performing sites, and this full-year statement brought with it only an extra £55k exceptional cost relating to the rebranding of some older units. Certainly both the gross and operating margin for H2 were healthier than the comparable margins of H2 2015. In fact, both H2 margins matched those achieved during H2 2014 — which was a buoyant year for TAST. The above table also suggests H1 2016 was generally quite poor for converting revenue into profit. Some 13 units were opened during 2016, and the old plan to open 15 for 2017 would presumably have required close to £13m. It seems to me that with the year-end balance sheet carrying net debt of £2m, alongside facilities to borrow a further £5m, plus yearly cash flow of perhaps £6m, TAST would have had just enough money to open those 15 sites. But spending a further £13m would have left the chain very short of expansion funds for 15 new sites for 2018, as I have calculated previously. My guess is that opening seven sites (and maintaining 60-plus others) will cost TAST approximately £7.5m during 2017. That level of expenditure appears much more manageable given the group’s current cash flow. Indeed, the slower rate of openings could even mean TAST is now able to self-fund its roll-out — albeit at a slower pace than predicted originally. TAST’s boardroom is staffed by two members of the Kaye family, who have already built and sold multi-bagger chains ASK Central for £223m (in 2004) and Prezzo (PRZ) for £304m (in 2015). …but the long-term upside potential may no longer be as great as I had expected. Another difference beginning to emerge between PRZ and TAST concerns margins. I should add that when PRZ was TAST’s size, it was actually paying a token dividend. There is no near-term sign yet of a dividend from TAST. …and yet TAST is about to suffer a lower profit this year. … and it may be wishful thinking to believe TAST can also expand at the rate PRZ achieved between 2004 and 2014 — and then enjoy a £304m buy-out. The management narrative did not provide a clear explanation for the 2017 profit warning. I can only assume the “challenging” trading environment is code for greater competition and should be expected to result in lower revenue per unit. The RNS also mentioned an “extensive management training programme”, and I get the impression staff (and related) costs are accelerating faster than revenue. Mind you, the Kaye family has already built two successful quoted chains, and I dare say both of those previous ventures encountered greater competition and the need for staff training. So it’s a bit of a mystery why TAST should slip up on these issues now. “The Group is undertaking a full review of the estate and operational structure and is implementing a number of strategies to improve performance. Reading between the lines, that text does suggest the group’s seven dim-t outlets could be due an overhaul. Other parts of the RNS imply some of the 13 former Wildwood Kitchen units — now converted to the Wildwood format — may be struggling. I also wonder if other dining formats currently enjoy better economics. For example, I’ve looked briefly at Fulham Shore (FUL), which operates a number of Franco Manca pizza outlets. FUL pays about 4.5% of its revenue as rent, versus 10% for TAST. Meanwhile, the average FUL unit earns £1m-plus revenue, versus £841k for TAST. 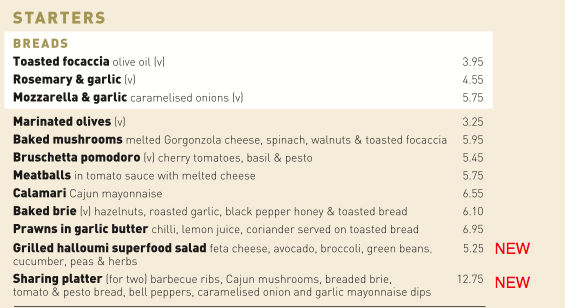 So on those two measures at least, FUL appears to be doing quite well selling its cheaper pizzas from smaller premises, and serving lots of diners to keep sales high and rent costs relatively low. Perhaps a similar no-frills concept — ‘Wildwood Express’? — could work within TAST. Whatever, everything now hinges on what changes the Kaye management implement. For now at least, I’m inclined to give the family’s track record the benefit of the doubt. While I suspect TAST’s board may have become a little complacent in recent years, I don’t think you can lose decades of proven expertise overnight. The 75p shares now support a £45m market cap, which with net debt added back on gives a £47m enterprise value. 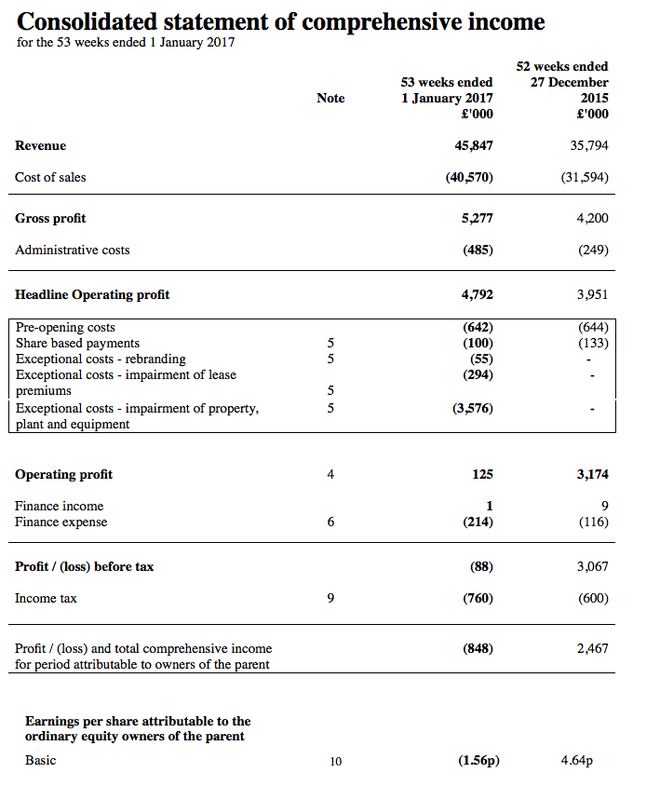 Simply taking the trailing operating profit of £4,692k (before pre-opening costs), and then applying tax at the forthcoming 19% standard rate, gives earnings of roughly £3.8m or 6.4p per share. 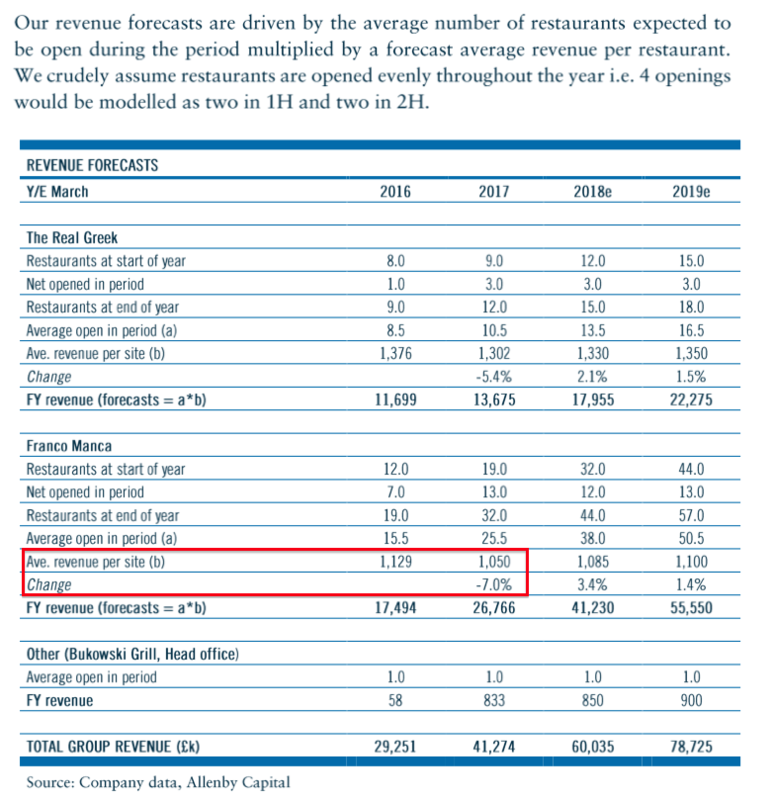 Those sums would suggest TAST trades on a possible multiple of £47m/£3.8m = 12.4, which does not appear too demanding for a restaurant chain that is set to expand its estate by about 10% this year. … the reasons for which are not exactly clear. For some perspective on the 75p share price, I first purchased TAST shares at 50p during December 2011 — since when the business has tripled in size. … and I dare say a very depressed rating could soon befall TAST. Nonetheless, further share-price declines could lead to a lucrative ‘recovery’ opportunity — assuming you believe in the Kayes of course! Thank you, Maynard, for a helpful review of todays results. I too am considering continuing to hold, but with less optimism than I had before. Nice assessment, Maynard. Thank you for posting it. Perhaps there will be more room for upside surprises from this lower share-price base. Like the analysis, especially the Prezzo and Tasty comparison. I wonder, if commercial property prices are too high, so Tasty is choosing to lease instead, whereas Prezzo was able to buy real estate due to the lower cost. I mean no disrespect to Tasty owners, especially ones with a successful track record. Just because they sold two successful restaurants don’t mean they will succeed all the time. I did an analysis of the Restaurant Group, and their management is closing down loss-making stores with fewer new openings. I wonder if it provides value. Nice analysis as ever, Maynard. I’m always slightly leery of such businesses, but had hoped that the Kaye track record would serve up second (or rather third) helpings. Hopefully the revamped website can attract a few more diners to the restaurants. The TAST share price has continued to fall and I see today now under 60p. I would be interested in your view on the value on the back of the end of year bad news, i.e. 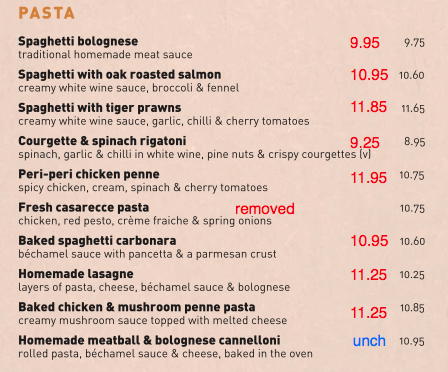 grows at just a modest pace (half of that previously declared by all accounts for this year) and lets say gets to smaller size than Prezzo and continued lower margins. With the continued high volume dumping I guess the serious investors are off loading as there was very few shares in Joe publics hands to drag the price down this low. I guess any value here is dependent on your view of the warning. That is, a) has the Wildwood format run out of steam completely?, or b) has the group suffered a temporary setback on its way to becoming a larger business? Assuming it is b), then a rough value guide could still be loosely based on PRZ. PRZ’s take-out value less freeholds was £274m, so let’s halve that to £137m. TAST currently has 63 sites and 7 more a year (as expected for 2017) for another 10 years would give 70 extra sites = 133 sites in total. PRZ at take-out had 250-odd sites, so perhaps TAST could indeed sustain an eventual market cap only half that of PRZ. That said, PRZ had higher margins than TAST does at present, so perhaps TAST’s eventual market cap could be less than half of PRZ’s. Anyway, TAST’s market cap at 60p is £36m — and going from £36m to possibly £137m over 10 years if a rebased roll-out goes to plan (big ‘if’ of course) could be a risk worth taking. You could tweak the figures for options, debt and potential dividends, but I doubt they will factor in the wider scheme of things. If the Wildwood format really has run out of steam completely, then no amount of fiddling with the figures will give us a good result. Alternatively, TAST’s value can be judged on a traditional P/E basis. EPS last year was about 6.4p per share underlying and I see EPS for 2017 is predicted by the house broker to be 5.7p. So at 60p the shares trade on a multiple of 10. I must admit, I have seen ‘roll-out’ shares trade well into single digits after they fall from grace, so my instinct is that the price could fall further from here (at least in the short term). None of the investors with notifiable holdings have issued RNSs to indicate they have sold any shares (although they may have sold some shares, but not enough to trigger an RNS). Whether these notifiable investors are ‘serious’ or not I don’t know. I have no idea who is selling. Thanks for the quick analysis, much appreciated. I cannot imagine the format has run out of steam, my family have been impressed with the small sample tried but perhaps the competition headwinds and cost of delivering a ‘waitered’ service are weighing in. Certainly some of the early Restaurant’s will be in need of a re fit / freshen up. The continued expansion of 7 per year suggests they still believe. Good point about the absence of RNSs, it always amazes me how a share price can be destroyed due to small share holders, in this case about 10% of the stock ? Certainly my confidence has been dented but I do believe it will come back but perhaps not at a PRZ level of delivery. If this is true its a strong buying opportunity and perhaps as you say it will fall further before it starts to recover. Here are my notes added onto the old menu about the changes. Numbers in red are higher prices for same dish, while numbers in green are lower prices for the same dish. A blue Unch means an unchanged price. 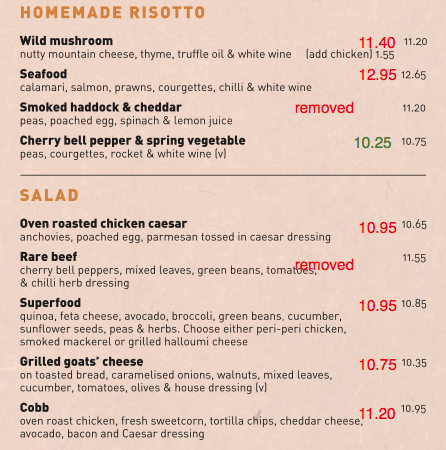 A red Removed means the dish no longer features on the April 2017 menu. All told, the menu has not been overhauled in a radical way. But I am not sure what to make of this. I trust the slight tinkering is due to the dishes remaining popular and the group’s trading/profit issues concern other matters. However, if the group’s trading profit/issues are due to fewer diners — which may well be the case — then this new menu does not provide much encouragement. 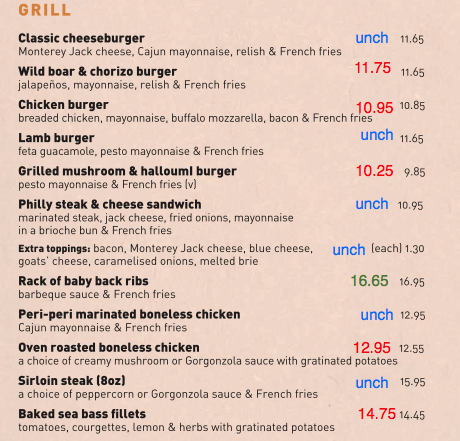 These offers do give better value, but it does complicate matters for the diner who has to request online codes for the 2-4-1 and 50% off deals. It would be interesting to discover how popular these offers are, and whether more trade could simply be generated by having lower main-menu prices and no offers. Both own up to difficult trading during Q1. So perhaps the issues at TAST are more sector related than company specific. Oakham, Ludlow, Wantage, Hereford, Telford, Worcester and Liverpool. I wonder if the sites at Oakham, Ludlow and Wantage suffered impairments. All three market towns have relatively small populations (c11,000) and perhaps don’t offer enough footfall for the restaurants to earn suitable returns. The other four Wildwood Kitchens opened during 2014 and 2015 all have populations of 50,000-plus. If a small local population is the reason for the impairments, then that could be reassuring for current TAST holders — as it does not suggest the larger London sites have encountered problems. The changes at the impaired sites ought to be emerging now. Very interesting comparisons. Fulhum Shore seems to have strong Pizza Express Leadership perhaps that’s why they are ahead of the others. I like your analysis of the smaller town populations, we might conclude that no amount of tweaking is going to change the outlook significantly. I attended this morning’s TAST AGM at the group’s dim-t restaurant in Charlotte Street, London. This was my third TAST AGM in the last four years. Anyway, the board was in full attendance and all the resolutions that were proposed were passed without fuss. As far as I could tell, there were three ordinary shareholders (including me) in the crowd and it was encouraging that one of the others came prepared with a few questions, so it was not just me quizzing the board. Joint chief exec Jonny Plant did almost all of the talking. * TAST suffered a “very poor” January and February for 2017. Previous year (2016) had witnessed a poor January, but saw a recovery in February. No such luck this time though. * Challenging trading blamed mainly on a) wider economy/general sector difficulties, and; b) Wildwood Kitchen outlets doing poorly. The main Wildwood brand is apparently still trading in line with expectations given the current tough market. * Management has assessed the rest of the sector and noted a wider deterioration of trading throughout (see my earlier Comment above concerning Richoux and Comptoir). Mentioned that 8 or 9 restaurant groups had suffered like-for-like declines. * Cited ASK/Zizzi offering flash 50%-off sale for a whole week recently as evidence of wider tough conditions. Conditions apparently are the most difficult for years. Brexit was also mentioned in passing. * Spend per head for 2016 was about £15, a bit up on 2015. Spend per head for 2017 has apparently been sustained albeit with lower footfall. * Group apparently traded fine during last year, despite troubles at Restaurant Group, and experienced a good Xmas. * Difficulties at Wildwood Kitchen outlets have notable effect on group performance — fixed costs essentially exacerbate losses at the problem sites. Management admitted to being “a bit slow” to react to the issues at Wildwood Kitchen. * Wildwood Kitchen turnaround expected to emerge by the end of the year. Essentially the brand/menu just did not perform that well after being developed from the Cafe Pasta outlets some years ago. The division did not have “support” from the main Wildwood brand either. * The reduced rate of group openings from 15 sites to 7 for 2017 is due to resolving the Wildwood Kitchen issues. Management does not want a tail of difficult sites to revive at the same time as overseeing significant expansion. * The 7 sites that suffered impairments were Kingston, Hereford, Worcester, Telford, Bristol, Oakham and Chichester. Some of these still lose money. 1 or 2 of the Wildwood units lose money, too. Some underperform but are still profitable. * Capex for 2017 — new sites cost £650k each (figure cited last year was 680k). * Could take 2-3 years for group to re-attain the 2016 £4.8m headline operating profit if current trading remains the same and 7 new sites are opened per annum. 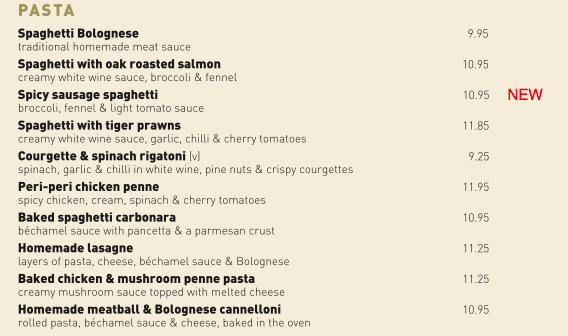 * Menu — why has it not changed much after the poor January/February? This was probably the most disappointing response. Management asked us shareholders for new menu ideas, which suggested they did not have any themselves :-( At least they also said new ideas were in the pipeline. However, there seemed to be no urgency to counterbalance poor trading in Jan/Feb with any reinvigorated menu, offers etc. * Sam Kaye would not answer questions on TAST’s progress compared to ASK Central and Prezzo. However, he has offered me the chance to meet him at a later date and I will take him up on the offer. Thank you for taking the time to put up your meeting notes. Even though I have been previously sceptical of Tasty’s growth prospects, I thought the recent fall in the share price has put the company into undervalued territory and bought some shares. Now after reading your notes and reflecting, I am not so sure. You stated that 13 restaurants were opened in the previous year. If each location cost £680k to roll-out, that gives us total capex of £8.84m for the new locations. If total capex was £11,652m for the year, then does subtracting the two numbers give us basic maintenance capex of £2.812m? If that is a reasonable assertion, it follows that free cash flow for the year was a mediocre £1.956M. Based on the current £36.37m market cap, that give us a price/free cash flow ratio of 19.2 – not cheap and given that 2017 is expected to be worse than 2016, the forward estimate will be even poorer. If the business is struggling to generate free cash flow in a normal economic environment – what are things going to be like if we have a recession? I have to say, I am also troubled to hear that management think it might take “2-3 years for group to re-attain the 2016 £4.8m headline operating profit if current trading remains the same”. I had expected management to have been more on top of things and to have levers to pull (either cost cutting measures, closures, or initiatives to stimulate sales). While it is good that management haven’t simply painted a blue sky or promised a quick turnaround, it was have been nice to have heard some of their ideas on methods to turn the business around. With all that said, considering the problems that exist at the Wildwood Kitchen format, should management even be opening the 7 locations that they have promised for 2017? As you’ve clearly shown in your graphs, the average revenue per location has been falling as the roll-out has progressed, which certainly suggested to me that the locations have been problematic. On the capex front, my sums for the last five years show £36,431k total capex less £7,015k total depreciation = £29,326k (theoretical) spend on new sites. The site count has grown from 18 to 61 during the same time, so £29,326k / 43 new sites = £682k per site. I have used the last five years as that should even out times when a year includes some capex where the associated sites are not opened until the following year. The 2-3 year projection was made by the finance director, he did say it was a guess and there was no real conviction behind the answer. Yes, you are right to have expected management to have been on top of things with regards to lever-pulling etc, but nothing memorable was forthcoming. In terms of opening 7 sites for 2017, the group has already opened 2 and the results said another 2 were under construction. I suspect the other 3 are at a stage where the group has already committed itself. It looks like the troubles in the UK restaurant sector extend beyond TAST. The CEO of Pizza Express has resigned after a second year of falling LFL sales at that company. At least the difficulty isn’t being borne just by TAST. Some operators are doing well, though. TAST co-chief exec Jonny Plant once worked for Wagamama and I dare say the original dim-t format may have tried to copy that chain. Wagamama has a very informative investor section for its bondholders on its website. 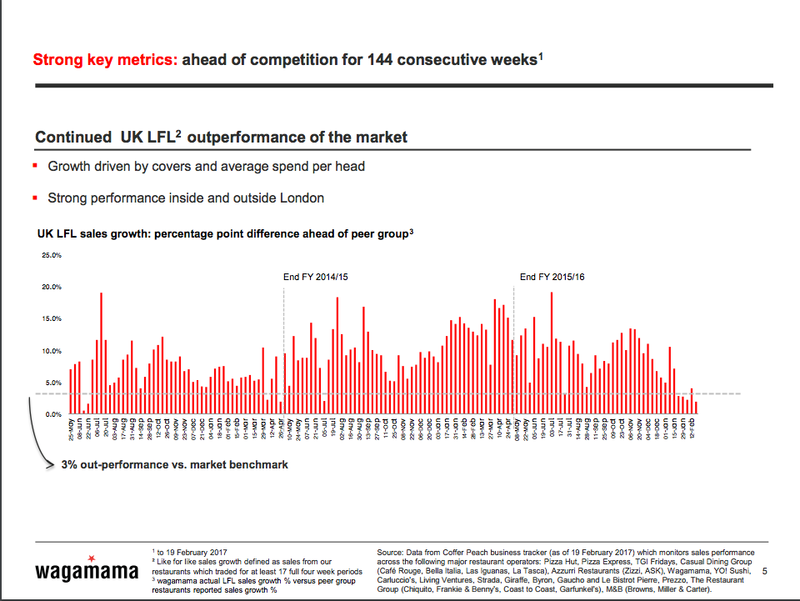 …which show Wagamama streets ahead of the competition with like-for-like sales out-performing the sector for 144 consecutive weeks. For the 9 months to January 2017, Wagamama l-f-ls were up 9.2% versus +0.1% for the wider industry. 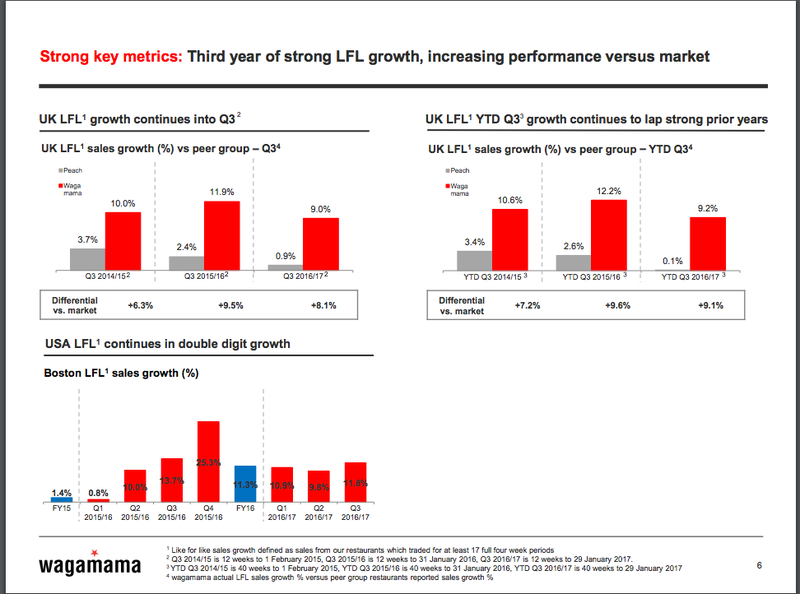 The previous year saw Wagamama’s l-f-ls up 13% and the year before that they were up 10%. Clearly Wagamama has been doing something right and has not felt the effects of Brexit and the apparent wider downturn in the casual dining market. Thank you for attending the AGM. Your comments are really helpful. I look forward in future to hearing your comments after y our meeting with Sam Kaye. I continue to hold, but I am not thinking of topping up at this time. Very interesting notes, it’s certainly not positive, is that how the mood of the AGM came across also? Did the major investors have any comments to make, those guys that recently bought at 140p can’t be too happy as the Management Team will have known about the difficulties. The only positive I can take is how affected they and the peers have been by the season, I can’t imagine people are spending too much on Dining out faced with Christmas credit card bills. That said it’s taken them by surprise. It’s also difficult to reconcile in my mind the industry struggling and blaming it on Brexit in part when the stock market is at an all time high. Perhaps the competition today is maxed out and the demand is being spread more thinly. Thanks for sharing as always and thanks for asking the questions. There wasn’t much encouragement from the board, and they seemed resigned to the fact that it was a sector-wide downturn. I had hoped for a bit more urgency and comments about specific actions, but it was all a bit vague. No major investors spoke at the meeting (or attended as far as I could tell) and the Placing, fallout etc was not mentioned at all in the Q&A. I dare say it was unfortunate the Placing occurred in November and the sudden trading decline occurred in January and February. At the moment, I do not fully buy the wider sector downturn story and I am coming round to the view that the competition has moved on a few steps, and perhaps Wildwood has not. One small example — if you look at Wildwood’s social media account, and compare it to, say, that of Fulham Shore’s Franco Manca, the latter’s is far more engaging to help drive footfall into the restaurants. There is also a point of view that the Kayes may be more concerned about their own property interests than running restaurants. Always worth keeping an eye on the competition. FUL operates Franco Manca pizza and The Real Greek chains. …states the average Franco Manca (FM) site earned revenue of £1,050k during FY 2017, which was down 7.0% on the £1,129k for FY 2016. I have worked out the H1/H2 splits for FM… and H2 2016 was £1,158k, H1 2017 was £1,120k and H2 2017 was £977k. I have ignored the H1 2016 figure as FM was part-owned during that period. Anyway, the trend is not great, and Allenby appears somewhat bold by predicting average revenue per FM site of £1,085k for FY 2018 (+11% on the H2 2017 of £977k) and then £1,100k for FY 2019. Also of significance, at least for me, is FUL’s operating lease expense. Well, the 2017 results show lease costs as a proportion of revenue have jumped to 9.5%. (It is not clear which costs have been reduced to counterbalance the greater lease expense to sustain FUL’s headline margin at 11%.) I had thought FM’s smaller premises had allowed it to keep lease costs down as a proportion of revenue, but it seems the group now pays at a proportion similar to the wider sector. So the economics of FUL may not be as great as I had initially thought. Quick query: have Allenby adjusted for new site openings during the year? Given that FM is opening so many new sites throughout the year, the average turnover of the whole estate would be meaningless – because new site openings part-way through the year would depress the average revenue figure to a considerable extent. Allenby has taken a simple average of sites for each year. The average revenue per site would only make sense if calculated on an LFL basis – i.e. sites which have all been open for 2 complete years or more. Perhaps, but because FUL does not disclose LFLs — and there is not a set standard to calculate LFLs anyway — these numbers are all we have. Indeed, Allenby is basing its forecasts on this particular revenue per site number. I only mention all of this because I hold shares in the hapless Tasty, where revenue per site stats were showing a marked deterioration well before this year’s warning. Calculated on the same basis as FUL, TAST’s revenue per site for 2011, 2012, 2013 and 2014 were £910k, £942k, £909k and £929k — sure, a bit up and down, but reasonably stable. Then for 2015 the figure was £852k, with H2 at a worrying £833k versus £938k for the prior H2. Then for 2016 the figure was £841k — so no major improvement. Then came the warning in early 2017. TAST’s drop between for H2 2014 and for H2 2015 was 12% — at a time when it, too, was accelerating its rollout and everything ought to have appeared sound. For comparison, FUL’s drop for Franco Manca between H2 2016 and H2 2017 was 16%. 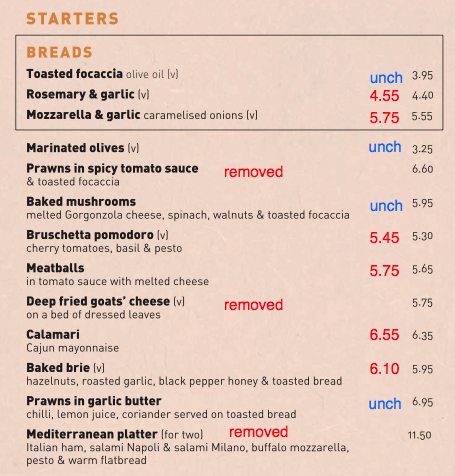 If FUL’s Franco Manca chain is not performing as well as it has been, then perhaps these stats lend support to TAST’s claims of a sector-wide downturn effecting its performance. I had thought TAST’s menu had become stale, and that the likes of Franco Manca, with a cheaper, simpler offering was becoming a much more attractive operator. I am not sure that is the case now. Seems like FUL’s cheap pizzas and simple menu etc were not immune to the wider sector difficulties. I am pleased FUL has owned up to a trading slowdown, as it underlines this is a general sector problem and TAST’s own setback may not be entirely its own fault. “We are currently building two more Franco Manca pizzeria, in London and in Bristol, which are due to open later this autumn. The Group continues to anticipate opening 15 new restaurants in the current financial year, in line with expectations (10 have been opened so far, the latest two being Franca Manca Oxford and The Real Greek Dulwich Village). I am hopeful TAST may be able to improve its terms with landlords for new sites. Maybe that is why the chain has curtailed its opening programme for 2017. Back in February a new site at Bicester had opened and I had 55 Wildwoods and 7 dim-ts. And then in March a new site in Birmingham opened I had an extra Wildwood to give 56 Wildwoods (and 7 dim-ts). As at 21 July, the websites listed 57 Wildwood and 6 dim-t outlets = 63 sites. So I reckon since March, a new Wildwood has opened (or will open soon) in Hinckley, Leicestershire, and a dim-t has closed in Highgate, London. Total sites is 63, just 2 more than the 61 operating at the end of 2016. TAST indicated within its annual results that it would open 7 new sites during 2017, so Bicester, Birmingham and Hinckley make 3, so another 4 are due for opening during the second half. I must admit I did not expect TAST to be closing restaurants. I think the Highgate outlet was the very first site TAST opened. Maybe it was struggling and TAST has been able to sub-let the premises. Maybe it has closed for refurbishment. I don’t know. A handy way for tracking the opening/closing of Tasty restaurants without having to check every day is to set up a change detection alert on their web page. This tool can naturally be used on lots of other website, although I do admit I have gone a little overboard myself in setting up alerts! That’s what I use. I have alerts set up, mostly for annual reports, but for other stuff, too. (I will now put one on your blog!) You can become deluged with alerts, though, as the web developers make minor changes (Andrews Sykes!). I have been buying these shares at 55p and below during July. I think at this point shareholders simply have to trust the Kaye family can steer the group through its current woes. Those woes include “challenging” trading in the wider sector, greater costs (e.g. staff) and particular trading difficulties at what were Wildwood Kitchen sites (since rebranded into the main Wildwood brand). March’s annual results announced the rollout of new sites for 2017 would be cut back from 15 to 7, while at the last count the estate this year had increased only by a net 2 new units. Anyway, TAST’s market cap at 45p is £27m — which looks very low to me considering what joint chief executive Sam Kaye, his brother Adam and his cousin Jonathan, have achieved during the last decade or two. For some perspective, Adam and Sam Kaye sold ASK Central in 2004 for £223m when it operated 171 sites. The two brothers were the lead executives at ASK and built the business from revenue of £3m and an operating profit of £215k in 1995, to revenue of £109m and an operating profit of £18m for 2003. ASK never suffered an annual financial setback during that time. Adam and Sam Kaye were non-executives of Prezzo (PRZ) from 2008 to 2015, at which point the business operated 259 sites and was sold for £304m. The lead PRZ executive was Jonathan Kaye, who expanded PRZ from revenue of £1m and a £76k operating profit for 2001 to revenue of £190m and a £23m operating profit for 2014. Throw in the success of Philip Kaye — the father of Adam and Sam Kaye, and uncle of Jonathan Kaye — who sold Garfunkels, Deep Pan Pizza and other chains of the 80s and I dare say TAST will ultimately be sold for a lot more than its current £27 market cap. For extra perspective, TAST’s £27m market cap and 63 sites give each TAST restaurant a market value of £427k. When TAST shares hit their 20p all-time low during April 2010, the then £7.5m market cap compared with 11 sites and gave a value per restaurant of £688k. When PRZ shares hit a 20p low during March 2009, the then £45m market cap compared with 140 sites and gave a value per restaurant of £328k. So TAST’s market value per restaurant is currently within a range where — at least in the past — it has been rewarding to invest. Note, too, that TAST’s £27m market value is 10% less than its £30m book value. Indeed, TAST management has said the cost of fitting out a new site is about £650k, which is now greater than the aforementioned £427k market value per restaurant. In theory at least, it may be cheaper for an operator to buy TAST outright at £27m than develop its own chain of 60-plus sites. Clearly, then, the market reckons TAST’s estate will earn sub-par returns from here. Maybe during 2017 sub-par returns will occur, and further write-offs will follow. In addition, TAST’s expansion may remain at a handful of extra sites a year and may never reach an estate size of ASK or PRZ. What’s more, margins at TAST have been lower than those at ASK and PRZ (due mostly to greater staff costs), while greater competition in the wider restaurant sector may always hinder profitability. So comparing TAST to the buyouts of ASK during 2004 and PRZ during 2015 may be somewhat optimistic. That said, the stock-market record of the Kaye family does suggests the eventual value of TAST should be somewhat higher than £27m. Imagine TAST can open 7 sites a year between 2017 and 2021, at which point the estate would then have 96 restaurants. Then assume revenue per site and the operating margin for 2021 are at the 2016 levels of £841k and 10% respectively. The projections produce revenue of £81m, an operating profit of £8.1m and earnings of about 11p per share. A P/E of 11 on earnings of 11p per share would give a 2021 share price of 121p. Going from 45p to 121p in 5 years gives a 20%-plus CAGR. …assuming TAST can ride out a difficult 2017 and the Kaye family has not lost its touch of building — and selling — restaurant chains. Finally, one long-shot possibility is the chance the Kayes themselves may take TAST private. PRZ received a potential takeover offer during May 2008 from “certain members of the board” — later confirmed to involve Jonathan Kaye and other Kaye family members. At the time the statement was announced, PRZ’s share price was 40p, its market cap was £91m and the number of sites was 130. Although the offer eventually came to nothing (because of conditions in the banking industry), at least it shows the Kayes can be willing to buy their operations outright when the share price offers value. Excellent analysis. I do think the high street competition today is at a higher level than in the past but using 2016 margins seems fair for a forward looking view of the business. Let’s not forget either it seems to be a quality food offering at reasonable prices but probably not a target for the younger generation looking to pay less. Because of this some outlets may fail but overall I think it’s prospects should be at least to the 2016 performance levels with moderate growth opportunities through additional openings. Last month I noted TAST operated 63 sites, just 2 more than the 61 operating at the end of 2016. Three Wildwoods had opened and 1 dim-t had apparently closed. I now see TAST is showing a new Wildwood site at Kettering, Northamptonshire. So as at 04 August, the websites list 58 Wildwood and 6 dim-t outlets = 64 sites. So that is four Wildwoods opened so far for 2017. Just three more now to meet the target of seven. Their Dim T website is only listing 6 restaurants. I think the missing one is Highgate which I happen to know closed down a while ago as I cycle past it fairly frequently. One restaurant out of an estate of 65 is hardly material, but I hope if they have provided an inaccurate number in today’s trading update, they are being sloppy rather than anything more sinister. A mitigating factor could be that the Highgate site was closed after 30 June, so the count of 65 was accurate at the half-year date. Nonetheless it is still sloppy to then state (my bold) “Currently, the group has 65 restaurants in operation, 7 Dim T and 58 Wildwood“. Currently looking for FOH/Waiting staff for our brand new restaurant concept opening on Hamsptead Lane in Highgate. Who are we? We are Centuno. We are a new Italian style restaurant opening in Highgate that will be serving up the freshest, homemade pizza and pasta amongst a few other signature dishes and we are looking for enthusiastic, charismatic, and dedicated Front of house staff to compliment are (sic) amazing food. What can we offer? We offer great rates of pay and a great tip system, flexible holiday allowance, along with staff meals when you work and the opportunity to progress within a company that is looking to grow and expand. Experience isn’t essential but does help. If you think this is something right for you than send us an e-mail and attach your CV! 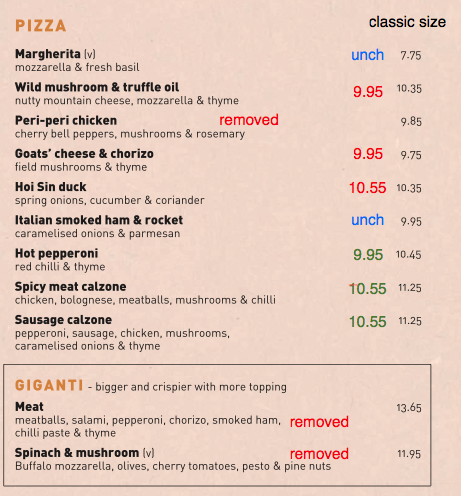 So it appears the new Centuno format will focus mostly on pizza and pasta and therefore have a narrower menu than Wildwood. 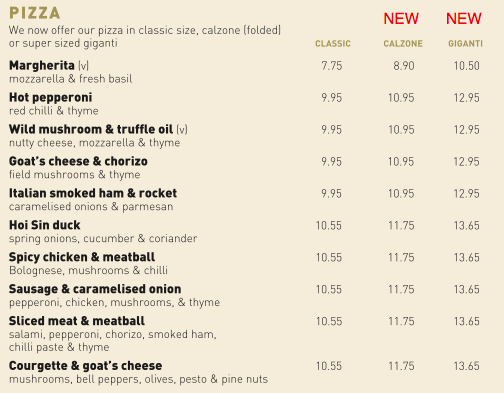 I think pizza and pasta was the general format used way back at ASK Central, so there may be a ‘back to basics’ move here from Sam Kaye. Anyway, it is encouraging the board is experimenting with a new brand. I wonder if ‘Sam – Centuno’ is actually Sam Kaye posting on gumtree? Looks like Sam is the name of this restaurant’s boss, too. Last month I noted TAST operated 64 sites, just 3 more than the 61 operating at the end of 2016. Four Wildwoods had opened and 1 dim-t has apparently closed. I now see TAST is showing a new Wildwood site at Rushden Lakes, Northamptonshire. Also, contributor bestace has said the closed dim-t unit will be rebranded as Centuno. So as at 06 September, the websites list 59 Wildwood and 6 dim-t outlets = 65 sites. Plus 1 Centuno = 66 sites. So that is five Wildwoods opened so far for 2017 (Bicester, Birmingham, Hinckley, Kettering and Rushden Lakes). Just two more now to meet the target of seven. The Company is providing a trading update for the 26 weeks ended 2 July 2017 and its trading expectations for the 52 weeks to 31 December 2017. The Company expects to report unaudited revenue for the 26 weeks ended 2 July 2017 of approximately £24,375,000 (27 weeks 2016: £21,794,000) and adjusted profit after tax* of approximately £200,000 (27 week 2016: £1,283,000). Currently, the Group has 65 restaurants in operation, 7 Dim T and 58 Wildwood, with 4 Wildwood restaurants having opened during the interim period. In the Group’s annual statements for the 53 week period ended 1 January 2017, released on 28 March 2017, the Directors communicated to shareholders that, as with other restaurant operators, the Directors expected the trading environment to be challenging. This has proved to be the case with trading across the estate below management’s revised expectations, as indicated by the half year finance performance of the Company. The Group has undertaken a full review of its estate, operational structure and cost base however the expected improvements from these initiatives are now unlikely to be significant in the current year. The Directors expect the first half / second half weighting of its financial performance of the Group to be similar to historic periods. The Company remains profitable and has a strong balance sheet. The Company expects to dispose of certain fixed assets during the second half of the financial year to strengthen the cash resources available to the Group. The Company also expects to close certain loss making sites which may lead to impairments but improved operational cash flow. The Directors believe the Group’s core ‘Wildwood’ brand remains attractive to customers and that the Group has a property estate with desirable locations which will deliver significant financial performance. The Directors continue to refine and improve the ‘Wildwood’ brand offering in a difficult trading environment. The Group expects to release its interim results for the 26 weeks ended 2 July 2017 on 12 September 2017. There has been quite a sales setback during this first half. The average number of sites open during the six months was 63, and revenue of £24.4m gives average revenue per site of £774k. That compares to £839k and £851k for H1 and H2 2016 respectively. So sales per site are down about 8% on H1 last year, which let’s not forget were in turn down 4% on the £874k of H1 2015. Today’s statement says 7 dim-t sites are operating, but the dim-t website lists only 6. There is no comment on further site openings, so I guess there is scope not to open the 7 for the full-year promised within March’s annual results. Regarding the possible disposal of “certain fixed assets” — I wonder if these assets are pre-paid leases (note 14 of the 2016 accounts), which represent sums paid in advance to secure a particular leasehold. Perhaps this right to lease a property can be sold on. Plus, remarks about closing “certain loss-making sites” does indicate that, even if 7 new sites are opened this year, the net estate may not grow by 7. All told, this investment now depends entirely on whether you believe the Kaye family still has the ability to operate a restaurant chain successfully. The trading updates issued during the past year suggest the family has indeed lost its way with greater competition etc, but it’s difficult to write the family off completely when you consider the success of ASK and Prezzo etc. If nothing else, the family has notable restaurant property interests and I dare say they could pull a few strings in the background to ensure the problem sites, fixed-asset disposals, and so on, are handled in a manner than benefits TAST. I recently bought some TAST shares, so you can thank me for this latest update. Seriously though, it’s clear that the weakness in the casual dining chain is a sector wide trend. Competitors like RIC, RTN, Giraffe, Prezzo, Five Guys, etc. are all having difficulties to varying degrees. It’s hardly surprising when you consider the pressures that these businesses face on multiple fronts. Taking the sector in at a 10,000ft view, it looks like everything that could go wrong, is going wrong. Increases in the National Living Wage. Rising food costs on the back of a weaker pound. Inflation rising in excess of wage growth. A general oversupply in the casual dining sector. Price cuts brought on by weak consumer demand (I see many listed chains offering significant discounts on Groupon/Facebook). When you consider all the above, I think things are almost as bad as they can get (I suppose we could be in recession). I think from here on, management at TAST (and competitors) will be getting serious about returning to profitability, rather than growing. That’s why I suspect the announcement that the shuttering of TAST sites is only the start of a consolidation in the sector. I am certain that by this time next year, capacity reduction will deliver some improvement. On the cost side, while there’s not much that can be done with food or wages, but I do think rents will come down, relieving a little bit on the cost side. Consumer demand is naturally the 800lb gorilla in the room, you’re guess is as good as mine when this recovers. Based on management’s comments, it sounds like all of 2017 is going to be a wash. With that said though, if we get some of the modest improvements as I suggested above, 2018 could maybe deliver £55m-£60m of full-year revenue with a 10% operating margin. Stick a 10x multiple on that, and you’ve got a share price that’s at least a double from where we are now at 43p. I think the share is firmly in value territory now, and I have bought again today. I will be paying close attention to the RTN interims that will be released on August 31st. If sector wide trends are replicated, I would expect them to disappoint as well.